The brown bag seminar is an academic conference and forum held along with light lunch, in which new researchers converse on their research fields and results, interacting with other researchers. 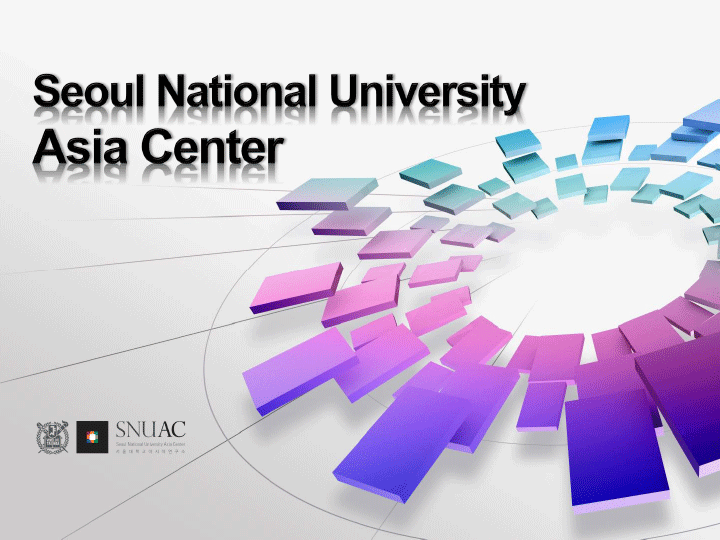 The seminar is one of the major academic events hosted by SNUAC. 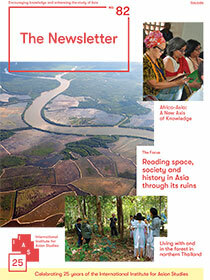 In March and April 2015, four new Asia researchers who have written their Ph.D. dissertation through the 2014 Dissertation Writing Fellowship have shared their research performances by holding four series of brown bag seminars. 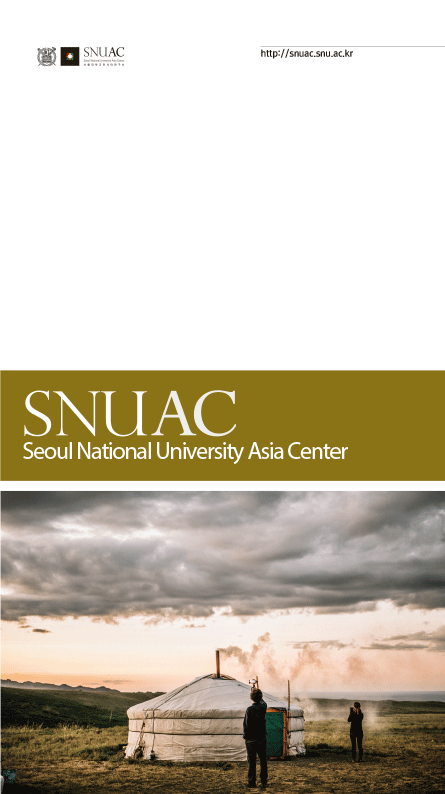 In order to foster and nurture Asia researchers, SNUAC has been providing a Dissertation Writing Fellowship, granting up to 12 million won per year to Ph.D. students who are putting the finishing touches on their dissertations. 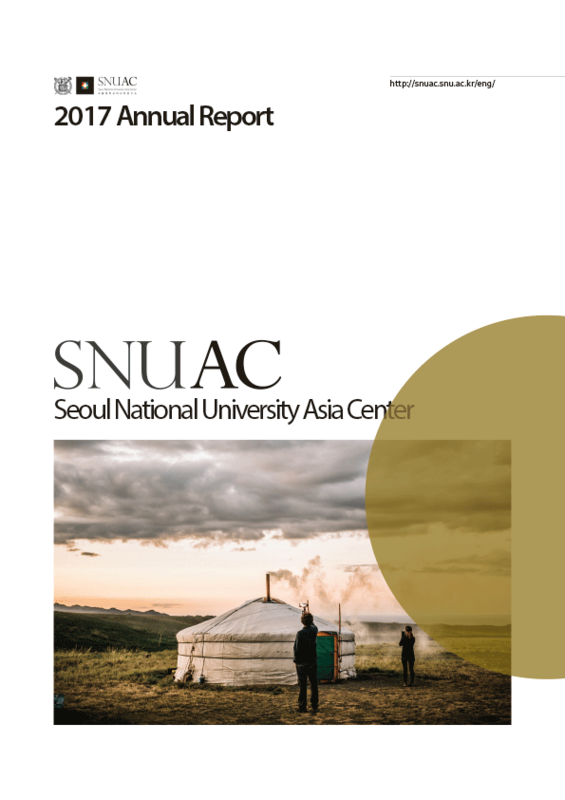 This fellowship, which has started in 2013, is the one and only project in Korea aimed to develop Asia research capability through fostering new Asia researchers as well as training new generations engaged in humanities and social sciences related to Asia. In 2014, six students have been selected as grant recipients, and four among them have succeeded in receiving their Ph.D. The presentation contents of the four researchers can be read below. 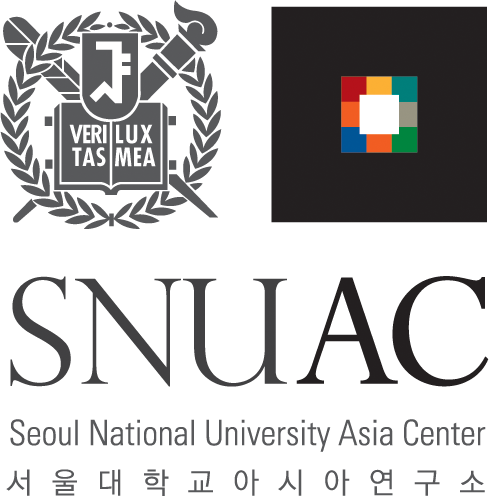 SNUAC will continue to make effort to foster future academic generations and strengthen cooperation among new researchers. – Institutional factors are related to labor productivity increase of private firms than that of foreign companies. – Institutional factors are in lack of relevance to labor productivity increase of state-owned firms. – Compared to other ownership structures, private ownership brings the highest productivity increase within the region. – Foreign-invested companies contribute to developing the regional institution’s environment. However, as they prioritize the interests of the parent company over regional development, they are less effective in terms of productivity when compared to private ownership in the long-term perspective. – State-owned firms hardly influence the development of regional institutions. Even though they have the advantage of having a good network and a high accessibility on resources, it is difficult to be motivated for development because of government pressure. As a result, the major features of the research can be summarized as follows. As the influence of institutional factors on firm performance depends on the firm’s ownership structure, firm performance varies, depending on the ownership structure. In addition, institutional factors, which correspond to external factors, interact with ownership and influence on firm performance; thus, if only one side is developed alone, it will lead to a failure of “economic growth,” which is the most important objective in economics. Therefore, a proper balance is needed between the development of institutional factors and ownership. This lecture provided a comparative analysis on the writings in language (Japanese) textbooks compiled by the Japanese Government General of Chosun and Taiwan as well as elementary language education during the Japanese colonial period. The lecture started off with the explanation on differences between writing phonetic notations of Kana and historical notations of Kana. Phonetic notations are written in the way it is pronounced, whereas historical notations are used in written forms (こんにちわ・こんにちは). It was interesting to learn historical facts that Japan has different languages (dialects) varying in different regions or statuses. Japan has made effort to establish a standard language system since the Meiji Restoration. However, it was difficult to standardize perfectly, so Japan rushed off to imperialism without the establishment of a standard language system. Japan colonized Chosun and Taiwan, and offered language (Japanese) education in both colonies. Japan compiled textbooks for language education, which can be classified into five periods from stage one to five. 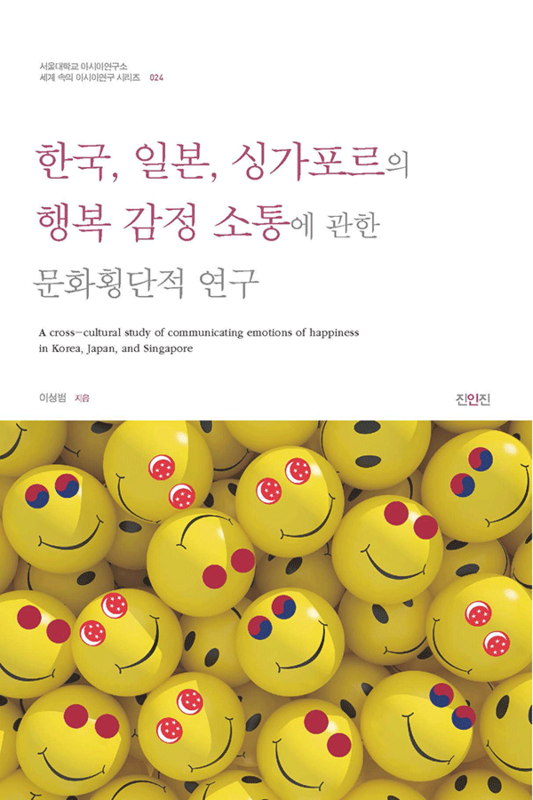 What was interesting was that the language textbook that was used in Chosun was similar to that used in Japan. It was very interesting to learn that even though the Chosun language and Japanese language were different, children in Chosun who learned Japanese as a foreign language acquired Japanese through a curriculum similar to that used by children in Japan. On the other hand, the language textbooks used in Taiwan showed a difference to those used in Japan. The lecture did not clearly explain what these differences imply, but it was possible to learn that the Chosun and Japanese language had lots of similarities, and that Chosun and Japan were connected historically and geographically. Lastly, a number of interesting questions were raised during the Q&A session. Questions were raised that helped satisfy curiosity on: whether the similarities of textbooks were driven from contents, how the Japanese modern language was developed into contemporary language and when the standard language system was fully established, and how the term, “national language” used nowadays in Korea and Taiwan is related to languages used during the colonial period. It was a fruitful opportunity to learn about studies on language education during the colonial period from a linguistic perspective. Dr. Yea-Yl Yoon gave a lecture on observing and systemizing the diverse features of discourses on East Asia for investigating the social background that led to the division, and figuring out and reorganizing the relationship among discourses. Focusing on the formation and transition of post-Cold War discourses on East Asia, discourses on East Asia emerged from the early 1990s when humanities scholars in the field of literature, history, and philosophy started to discuss on the identity of East Asia. In the mid-1990s, social scientists additionally made effort to explain the distinct characteristics of East Asia’s economic development. After the economic crisis in the late 1990s, many scholars in economics and political science increasingly discussed on the need for East Asia’s regional integration. Moreover, since 2000, the Kim Dae-Jung government, political scientists discussed the East Asia Community in earnest, and the Roh Moo-hyun government era in the mid 2000s, the term Northeast Asia emerged as Korea’s strategic unit, and discourses on East Asia, especially discourses on regionalism, accorded with carrying out regional policies. What was interesting was that as discourses with different objectives emerged at different periods, a rivalry relationship was formed among old and new discourses, which unfolded politics of discourse. As a result, Dr. Yoon analyzed the transition of discourses into four parts: East Asian cultural identity, East Asian alternative system, East Asian development model, and East Asian regionalism. He demonstrated that discourses on East Asia were divided into many parts owing to the ambiguous concept of East Asia. In addition, the term East Asia has diverse usage, such as in terms of geographic boundary, private boundary, and cultural and economic sphere. The lecturer organized the transition of discourses in three dimensions of usage: academic perspective, ideological value, and institutional sphere. The lecture and debate took an hour and a half. During the debate, a broad range of ideas were shared on the extension of discourses on Asia, discourse research methodology, distinction method between discourse and conceptualization, and discourses on East Asia from another country’s viewpoint, such as China and Japan. The main topic of this lecture was the relation between Hikiagesha’s collective memories and Japanese nationalism in the post-war era. Hikiagesha means “Japanese repatriates who were shipped back to the mainland of Japan”. In particular, this lecture focused on the “community of memories” of Japanese who were born in colonial Chosun, and shed new light on post-war problems and nationalism in the Japanese society. As a number of Hikiagesha have died of old age, their stories have often been passed by second and third generations of Hikiagesha. Hikiagesha have been actively visiting Korea and participating in Korea-Japan cooperation activities by creating local reunions or hometown alumni. Most of them were amicable towards colonial Chosun and Chosun people, and they often called Chosun as their furusato (homeland). Since Hikiagesha were born and raised overseas (regions other than mainland Japan) they were in touch with foreign culture unlike domestic people (Japanese). As a result, they formed a collective memory which is different from that of domestic people. Therefore, they shed new light on another perspective of “post-war” Japan’s forgotten colony, and show various features of colonial Chosun. A number of questions were raised during the Q&A session. It was possible to learn about Hikiagesha in depth through the questions raised on how Hikiagesha of colonies such as Taiwan and Hikiagesha of colonial Chosun were treated differently from others in Japan, the relation between Hikiagesha and pro-Japan Chosun people, and about Li Xianglan (a Hikiagesha singer who made a career in China) who passed away last year. The feature of colonial Chosun and the identity of Hikiagesha viewed from an anthropological perspective, particularly viewed through memory, was intriguing and impressive.